The Discipleship and Ethics course at Fresno Pacific Biblical Seminary (formerly Mennonite Brethren Biblical Seminary) has challenged hundreds of students since 1999 to critically consider what it means to follow Jesus in our contemporary contexts. The primary purpose of this website is to support former students as they cultivate alternative communities and engage the ongoing work of living out themes from the class. That said, it is open to all who want to join us on this journey. It provides several unique lenses for thinking about Christian ethics, resources for deeper engagement across an array of timely issues, and a community sourced blog. Glad you are here and blessings to you as you seek to follow the Way. The term discipleship is often used in relation to a method for training or mentoring Christian leaders. For Anabaptists “discipleship” is often used in relation to ethics--following Jesus. And since the beginning for Anabaptists, following Jesus has been thought of in terms of life commitments, living differently. So in this course “discipleship” has that connotation: actions and behavior determined by looking at Jesus and listening to his teachings. Jesus did mentor leaders, and that appropriately is related to discipleship. On this site, however, we will focus on the ethical aspects of following Jesus as his disciples. Think of discipleship as a transformation word, being transformed to be more like Jesus. Discipleship and Ethics—What makes it Anabaptist? An emphasis on following Jesus in terms of actions and behaviors. Of course what we are doing is not limited to Anabaptism, other Christians are concerned about the same issues — many of the authors used in the course and recommended on this website are not Anabaptists (note that we just quoted a Presbyterian.) In constructing the content we intentionally choose a number of non-Mennonite authors in order to communicate to Mennonites that we are not the only ones who emphasize these characteristics, and to communicate to non-Mennonites that you do not have to be, or become, a Mennonite to embrace the approach and emphasis of this course. To learn more about our approach to these ideas, head over to the paradigms tab. Mark Baker (Ph.D., Duke) is Professor of Mission and Theology at Fresno Pacific Biblical Seminary. He is a Mennonite who has authored a number of books in English and Spanish. He has taught at Fresno Pacific Biblical Seminary (formerly Mennonite Brethren Biblical Seminary) since 1999. Mark previously served as a missionary in Honduras for ten years and a campus minister with InterVarsity Christian Fellowship for three years. He has continued ministry involvement in Latin America through regular visits. Since 2008 he has led a weekly Bible study at the Fresno County Jail. Some of the areas Mark has taught and written about include: atonement, contextual theology, Galatians, ethics of freedom, Anabaptist ethics for contemporary life, honor-shame, Jacques Ellul, and Latin America. Click here to read the syllabus for Mark's Discipleship & Ethics seminary course. Nathan received a Master of Urban Ministry at Fresno Pacific Biblical Seminary. He is a community developer and organizer, currently working for The Interfaith Alliance of Colorado as their Program Director of Economic Justice. He lives with his wife in Denver, CO.
Julia Baker has many places she calls home. She is calling Ohio home for the summer as Poet-in-Residence at St. Matthew's Episcopal Church. Julia is a poet and visual artist she uses an interplay of image and word in her work. 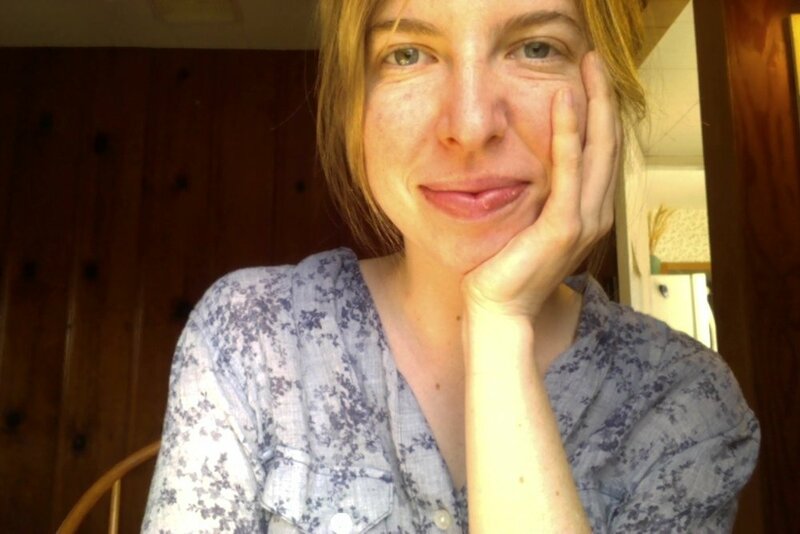 She graduated from Goshen College in 2011 with a degree in Women's Studies, Writing, and Art and has since studied Somatic IFS Therapy, Traditional Nutrition and Permaculture Design. Julia is most well when lying under a tree.